No one denies that makeup is women’s best friends. People usually say there is no ugly woman in the world, there is only the woman who does not know how to make them beautiful. Makeup does not only help the women hide the sunburn, spots or tortoise-shell, but it also makes them feel more confident and shines in any events or parties. Unfortunately, makeup does not good for our skins. Although we use the best one, we cannot wear it 24/7 and in 365 days. Especially, we cannot wear it while enjoying the beach, swimming, surfing or staying overnight at our boyfriends or friends house. In these situations, women usually come with the question how to look beautiful naturally without makeup? Do you the dead skin cells is one of the first reasons that make our skin tired, old and lack of glow? The beauty experts advise us to remove dead skin regularly in order to help our skins clean, glow and the new skins have a chance to grow. 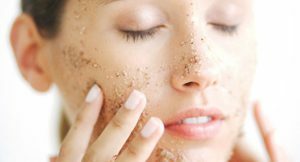 If you have not been using a facial scrub, this is the time that you must start using it. There are many kinds of facial scrubs on the market. However, you are advised not to use the scrubs which contain the walnut shell powder. It might cause the microscopic tears in the skin. They suggest you should use the general and high-quality one to remove effectively the dead skin cells and protect your skin. If exfoliating the skin is the first necessary step for your skin, moisturizing will the next important one. After removing the dead skins, the new layers of the skins need to be pampered. Therefore, applying the moisturizing cream or gel is very needed. It helps to keep and lock that moisture in and avoid your skin is going to dry or getting flaky and feel rough. Moreover, it also supports the users in minimizing the pores, reducing the fine lines and much more. 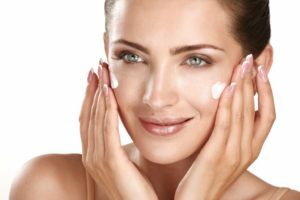 Many people think that they have the oily skin does not need to apply moisturizer. In fact, oil and moisture are completely different. The main reason is that because the skin is going to produce more oil once you have the dry skin. In case, you are having the oily skin, then you should choose the gel or water-based. A serum is known as the energy skin shots which deliver directly the nutrients to the skin. The serum contains the high concentration of skin-boosting ingredients. All the model and beauty experts mention that if you are looking for how to look beautiful naturally without makeup, serum should always be your first consideration. It helps the women improve their skin effectively. As you see there are various types of serums available in the market. However, you are recommended to bring yourself the Argan Stem Cell Serum. Although its market price is quite expensive, it is very worthy and the users must have it. Do you know nutrients have the strong and direct impact on our health,our body as well as our skin? Besides that, most women feel very unhappy when their monthly period comes, it makes their skin face looks awful. Not only the beauty experts but also the skin doctors or spa clinics also suggest the women should eat more salads and fresh fruit for better health and beautiful skin. Oranges, squash, carrots, mangoes, and banana are the most common fruits for women. It contains lots of rich vitamins and minerals which are great for the skin and eyes. 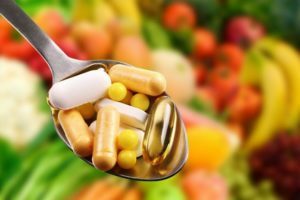 Whether it is for our skin or any parts of our body, we can always use the supplements as the supporting one for our health. Our skin has the specific nutritional requirements which are well-known as vitamin C and E. For those who want an anti-aging booster, the supplements with collagen will be your best choice. 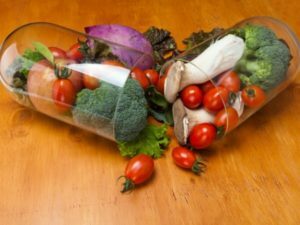 Although we can buy these supplements easily with the clear instruction at any pharmacy stores, we are advised to consult the pharmacists or doctors for better results. We always should and must drink enough water to keep our body well hydrated. It helps our skins glow and prevents the dull and old looking. Water helps our body flush out the toxins which cause the problems to our health and remove the wastes by urination. Once drinking enough water, we can also prevent constipation and make our digestive system works more smoothly. Many women love to drink the carbonated drink and sugar-packed artificial juices. 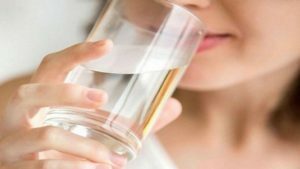 Even though it contains water, it does not truly good for us. Therefore, you should reduce the cokes or coffee and drink more mineral water. It will be lucky for those who have the thick and long eyebrows. Do not be upset if you do not have one. With the well-groomed eyebrows, it will help a woman look good naturally without makeup. 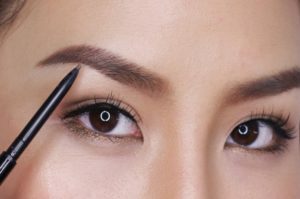 The makeup experts mention that if you groom your eyebrows regularly, it will help you look great all the time. Whether you are a man or woman, we both agree that waxing is the effective way which helps the women or even an actor looks clean and beautiful. There are several products available in both local and online market. Everything you need is choosing the high-quality and right one based on your purpose. It might not a surprise for us once sleeping belongs to how to look beautiful naturally without makeup Tips From Models & Experts. Sleep has an important role in human life. Our body repairs itself while we are sleeping. Therefore, all health experts advise both men and women should sleep at least 6 to 8 hours. By doing this, you will prevent effectively the dreaded dark circle under our eyes, have a glowing complexion as well as you can slow down your aging process. Especially, our skin produces the new collagen when we sleep. Do you know face masks are the best friend of both men and women? It helps our skin absorbs effectively the nutrient, vitamin, minerals, and moisturizers which are necessary for a beautiful skin. All beauty and makeup specialists advise in order to help your face glow and look youthful, we should apply the face masks regularly and at least 2 or 3 times per week. There are various face masks on the market with different kinds for you to choose depending on your skin’s condition. From the pullout impurities, hydrate your skin, prevent oil to infuse our skin with mega doses of feel-good nutrients. If you do not like to use available one, you can make your own DIY face mask. Mascara is a necessary one when we makeup, it comes to make the lashes longer and fuller. By doing it that, the women eyes will look more alluring and draw more attention. However, we should not use it regularly to glow our lashes. 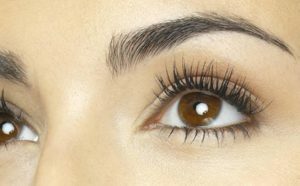 The experts suggest that we can invest in castor oil to help our lashes grow healthier and thicker. Although it takes us many weeks to complete the glow lashes process, it is less costly than using the eyelash serums. Do you know we may also take an eyebrow brush and dab it in Vaseline? It will help our lashes look thicker and more beautiful. Hair is the women’s best friend. The hair of women is their crowning glory. Once a woman changes the way it usually looks, it regularly comes with the strange and attractive look. There are many things that you can do with your hair from curl, trim, iron to straight to color it. Many men mentioned that they feel very surprised when their partner goes back home with a new look and very lovely. The hair experts suggest that you should not use the harsh products regularly because it will harm your hair. In case, you use a curling iron, you are advised to take care of your hair often to prevent the damage for it. There are many available hair products on the market, you must find yourself the high-quality and correct one. If your budget allows, you should find a good hairdresser to help you taken care of your hair. We cannot deny the T-shirt and jean short will make the women look youthful, active and lovely. However, what happens if the women go out with a dress. Lots of men said they are attracted by the women who wear a dress than the one who wears a t-shirt and jeans. Although when a woman looks sport and active when they wear casual clothes, they look very attractive and lovely with a dress. In order to make you look beautiful in a dress, you must avoid wearing baggy and ill-fitting clothes because you will look bigger than you actually are. Actually, if you feel difficult to joy the outdoor activities with a dress, you can try a simple crisp white shirt and blue denim flatter. BB is well known as a makeup product. In fact, it can be used to replace your moisturizing cream, serum, and foundation. While putting so many things on our face, the experts suggest we should use a beauty cream. This is all in one solution which helps our skin breath and nourishes. There are the various types of BB creams in the market from the highlighter, moisturize to foundation and concealer. Some BB creams also come to the users with SPF, anti-oxidants, and anti-aging. You can now choose yourself the most suitable one in any supermarkets or shopping centers. 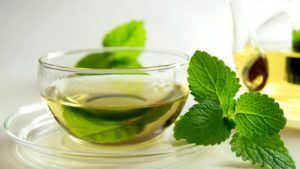 There are many reasons why green tea is the most popular and healthy drink for both the youth and elders. Green tea contains catechins which are a form of a form of antioxidants which prevent the cell damage. Besides that, if we drink it regularly, it helps us reduce cholesterol and fat absorption, blood pressure and improve our skin and health. Additional, you can use green tea to wash your face for a healthy skin. However, you are suggested to drink the fresh or dried green tea leaves not the powder. It might be a surprise for the readers when we consider a smile belongs to “how to look beautiful naturally without makeup | 20 Tips from Models & Experts”. Having a good and white set of teeth will be the plus point for a beautiful smile which helps to brighten our face. Comparing with the above information, this section is simpler. Everything you need is brushing your teeth at least 2 times a day. The dentists suggest that you should use toothpaste which contains calcium and fluoride to strengthen the teeth. However, if your teeth are stained or discolored, you should go to the dentist clinics for the treatment. 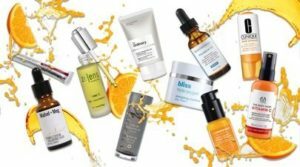 This is the secret from the skin professionals. They mentioned that a good and regular facial massage is going to reduce the appearance of fine lines, appear more radiant and tighten our skin. Besides that, it also helps us feel relieved after a tired day or stress. While massaging, you are suggested to use lotion or coconut oil to bring the best result for our skin. Get Rid Of Pimples is what you should do in how to look beautiful naturally without makeup | 20 Tips from Models & Experts. As a woman, nothing annoys us like the spots or pimples. It makes us ugly and not confident when going out. 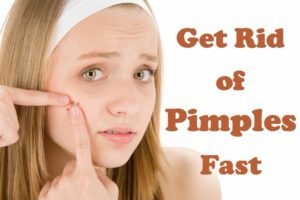 Drinking the plenty of water and eat salad does not help us remove effectively the pimple, so how? In order to get rid of it, besides daily cleaning our face by a good facial cleanser, we also need to do the local treatments which are exfoliation and skin miniaturization or use some tea tree oil. Unluckily, if you have so many pimples, you must go to a skin clinic or spa for a treatment. Similar to any parts of the body, our face needs to detox the toxins or dirt. 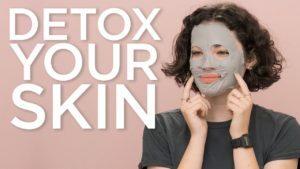 As the above information, we have many different ways to help our skin eliminate effectively the toxins like the clay mask, exfoliation or facial cleanser and water. The experts advise you should start a detox cure with the green smoothies for the fast and effective detoxification process. Furthermore, going to a sauna is also a good choice for us, but we must drink the plenty of water in this option. Sunglasses is the last tip for those who are wondering to look beautiful naturally without makeup. It does not only make us look lovely and cool, but it also helps us hide the puffy eyes and protect our eyes from the sun rays. That is all! You now have had the answer for the question – How to look beautiful naturally without makeup | 20 Tips from Models & Experts. Makeup is always good, it helps us more confident and beautiful. However, what will be prouder than having a naturally beautiful face, right! Now, you can try some of the above information and see how our face changes within the first few weeks. Enjoy!